Preventative maintenance is an important part of managing your AES-IntelliNet® network. The goal of a successful preventative maintenance program is to establish consistent Best Practices designed to improve performance and maintain optimum network health. Generally speaking, a well maintained network performs better than a poorly maintained network. The success of a preventative maintenance program is dependent on the cooperation of all stakeholders – network owners, central station operators, and technicians. The information below is segmented into the functional components of an AES-IntelliNet mesh radio network. Each section includes bulleted preventative maintenance recommendations. This is followed by a more succinct table of recommendations along with recommended intervals. 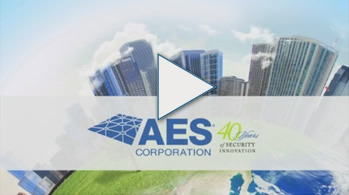 AES Corporation recommends the following preventative maintenance schedule to safeguard your investment while ensuring optimal performance of your AES private wireless mesh network for years to come. 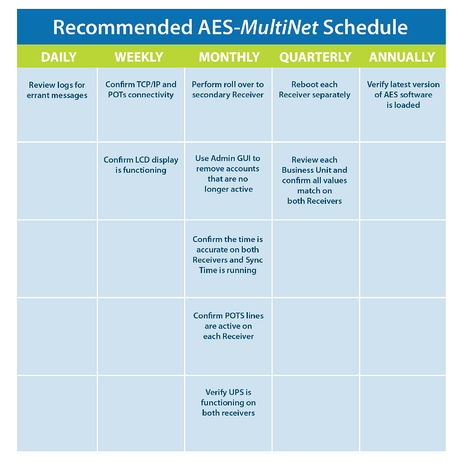 AES-MultiNet Receivers are the lifeblood of an AES-IntelliNet network. Their successful operation is vital to all other functions within the network. It is critically important that this equipment be well maintained, monitored regularly, and that deficiencies are addressed as quickly as possible. NOTE: Failure to execute these steps properly may have adverse effects, please engage AES Technical Support at (866) 237-3693 or support@aes-corp.com for assistance if you are unsure of how to perform these actions. 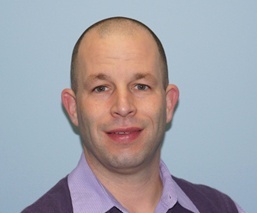 Perform Receiver roll overs to ensure proper failover functionality. Roll Receivers on a scheduled monthly or bi-monthly basis. This is accomplished by issuing the ‘aesmon stop’ command using VNC:1 from the IP address of the primary Receiver. You should allow signals to pass from each active business unit to verify complete functionality. Reboot each Receiver, one at a time, on a scheduled quarterly basis. You may also consider incorporating this into the Receiver roll over test. Use the Admin GUI to remove all Subscribers (accounts) that are no longer online. Confirm that the system time on the Receivers is accurate and that the ‘synctime’ feature is running on all Receivers. Verify operation of the phone lines (or phone line simulators) connected to each Receiver. Verify operation of UPS units connected to each Receiver. Failed UPS units could result in Receiver hard drive failures during routing generator testing. Review each active Business Unit to confirm all values match in each Receiver. Business Units should be identical on each Receiver. Review alarm history for each Receiver for day-to-day faults such as TCP-IP, modem, LCD, LED, printer, etc. IP Links play an important role in aggregating signals from the mesh network and delivering them to the AES-MultiNet Receiver for processing. 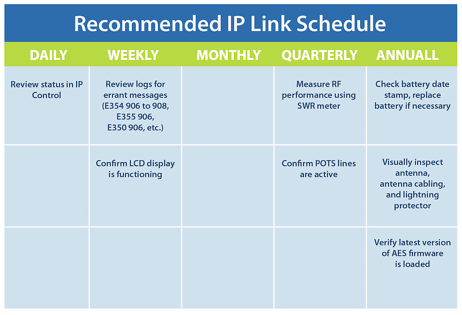 Poorly maintained IP Links can result in performance issues that may manifest in a multitude of ways such as Ack Delays, peculiar network routing, and more. By following this guidance, your AES network will operate more efficiently. Ensure proper batteries are installed. A 10 AH minimum is required to accomplish 24 hour standby requirements. Batteries should tagged with a date and replaced every 3 years or as necessary. Visually inspect all external antennas, cabling, conduit, connectors, and lightning protectors for signs of wear and deterioration. If you’re a first time User and need login credentials, please contact AES Technical Support at support@aes-corp.com and a member of our Support team will help you with access. Review Contact ID (CID) event codes for the IP Link in automation for faults. Examples of faults are E354 906,907,908, E355 906, E350 906, etc. Verify operation of the phone lines is connected to each IP Link. Confirm that the latest version of AES firmware is installed on each IP Link. Subscribers require a 7.5 AH battery (fire units have a maximum of a 12 AH battery and burg is 7.4 AH). The minimum 7.5 AH is to accomplish 24 hours of standby. Any Subscriber with an external antenna, or any antenna other than the case mount “rubber duck”, should be visually inspected. 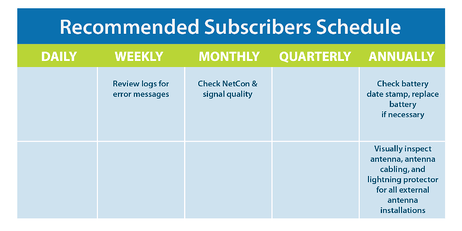 Review the NetCon rating of the Subscriber unit to verify it is not at NetCon 7. For world-class reliability and peak performance of your network, follow AES standards and best practices for preventative maintenance. technical training options and professional services.